I grew up watching Flipper as a kid, so dolphins have always been special to me and getting in the water with them was an experience of a lifetime for me. 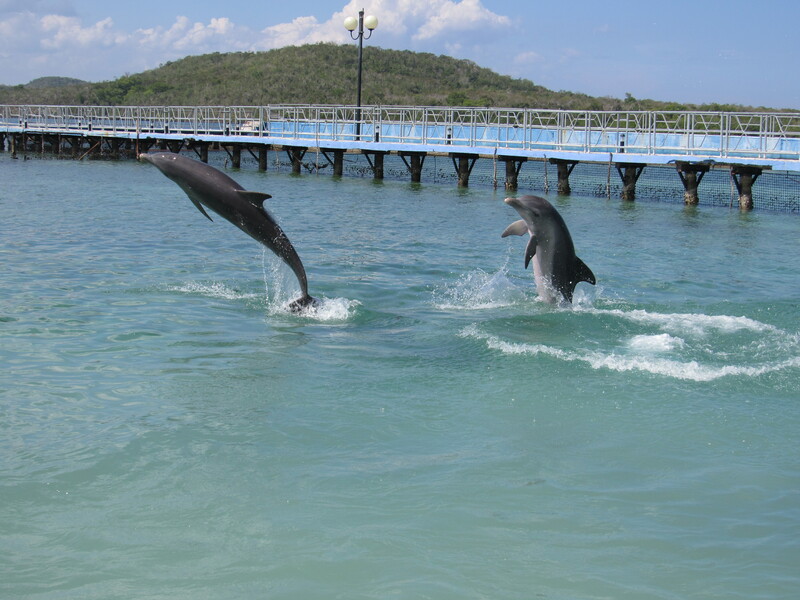 There are many places where you can swim with dolphins; however, after talking to some people who did this in other areas, I am very grateful that my experience was at Aquario Cayo Naranjo in Cuba’s Holguin Province. 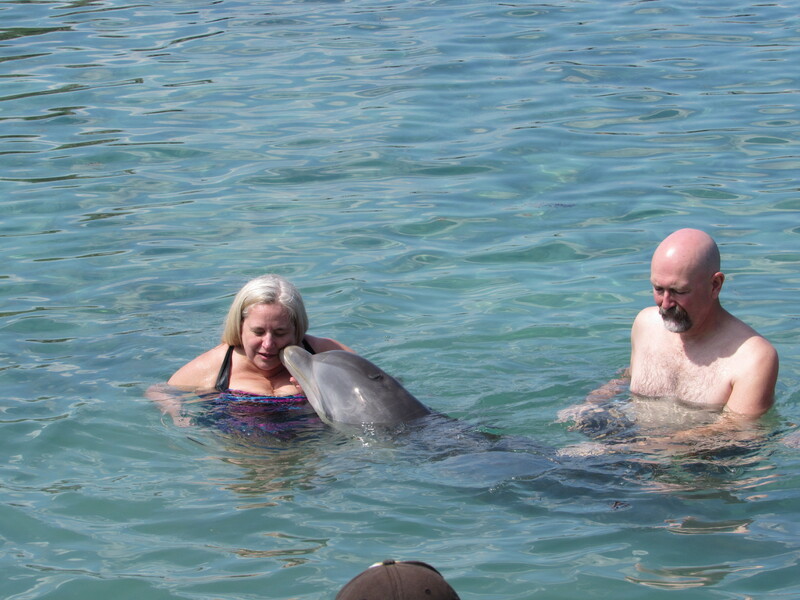 Not only did we get the chance to swim with dolphins, but all our drinks, lunch and two shows were included. 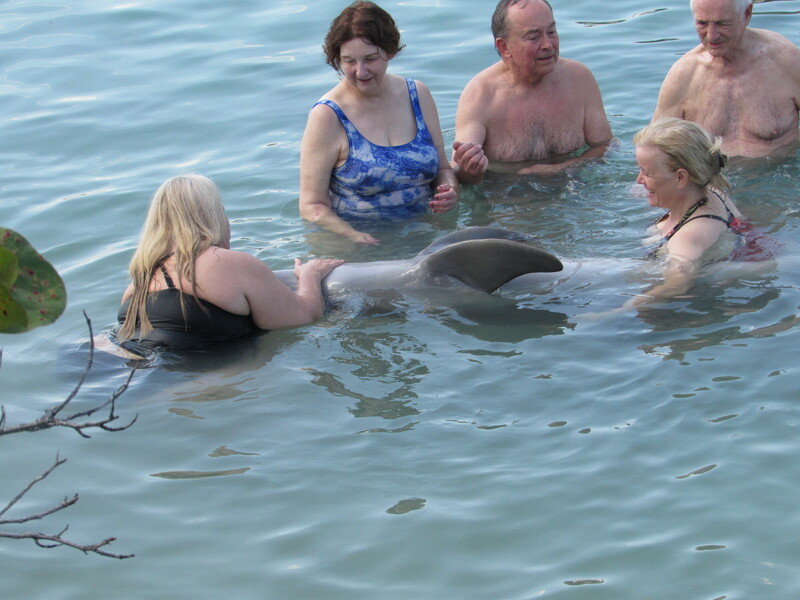 Several pools give different types of dolphin experiences. For most, you have to wear a life jacket, but the largest pool is partially on a sandbar with water that is about waist-deep (or a little more for me, since I’m short), so no life jacket was required. We started our swim by being introduced to two lovely ladies – Brenda and Doris – and we were told about the ten-month old baby that was peacefully swimming around. 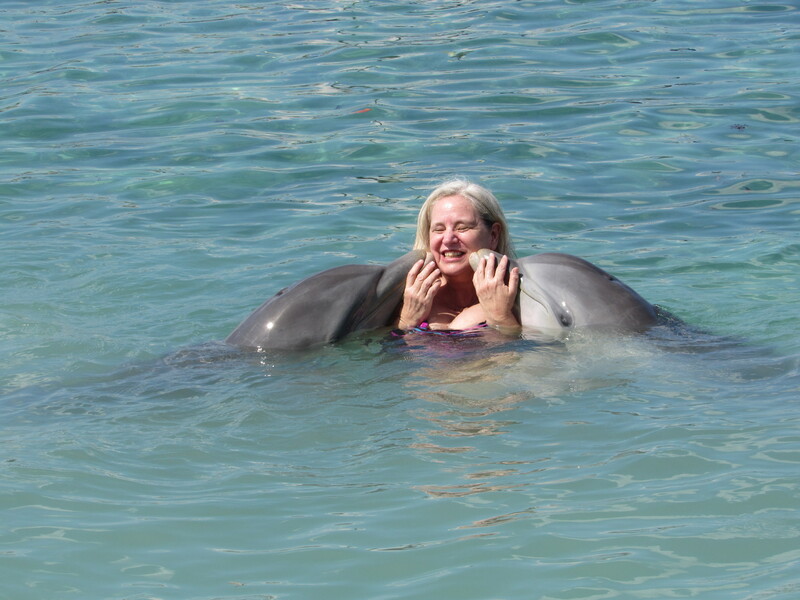 We would not have actual contact with the baby and told to ignore her completely, so I was surprised when she swam up to me and around my legs – a lot like one of my cats! 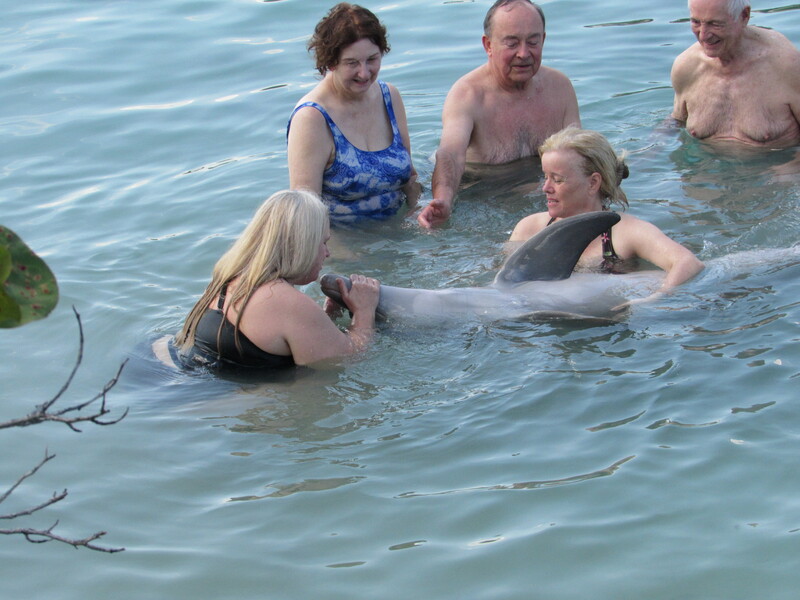 Our group of thirteen people, divided into two groups – each group would interact with one of the dolphins. 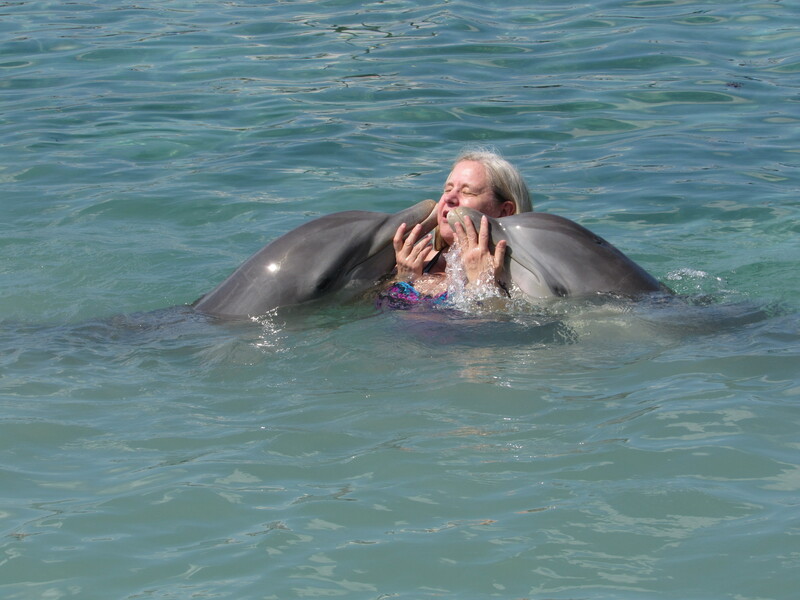 My group’s dolphin was Doris, who first went to each person and gave us a kiss. Then, we got to touch and pet her. She would swim up to our group and, as soon as anyone touched her, she would roll over onto her back – I think she liked her belly rubbed! The trainer then invited us to open her mouth. I thought that was weird, but after a bit, we each did it and she again seemed to like it. 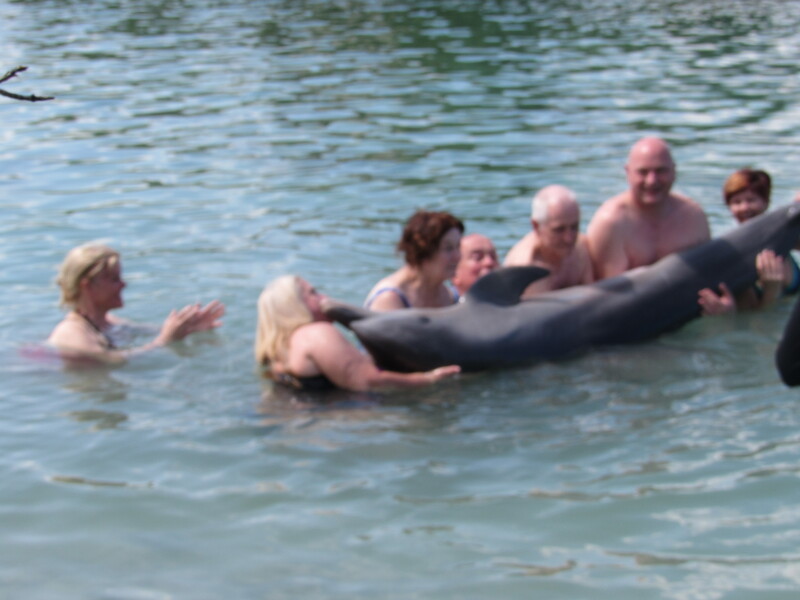 Then we, as a group, picked her up out of the water – I held her nose and the back of her head. At one point, she “head-butted me” in a very similar way one of my cats does. The last piece was for each of us to get kisses by both. 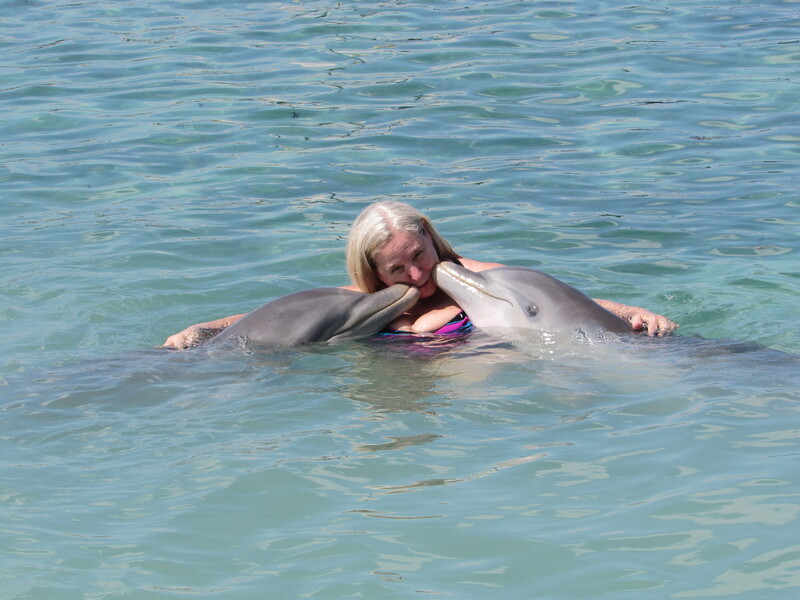 Most people in the group were with someone, so they went together, but since I was solo, both dolphins kissed me at once. We had quite a moment together. When the trainer finally got them to swim back to him, I was sad to let them go. Or was it the splash of their tales that give me such a look! 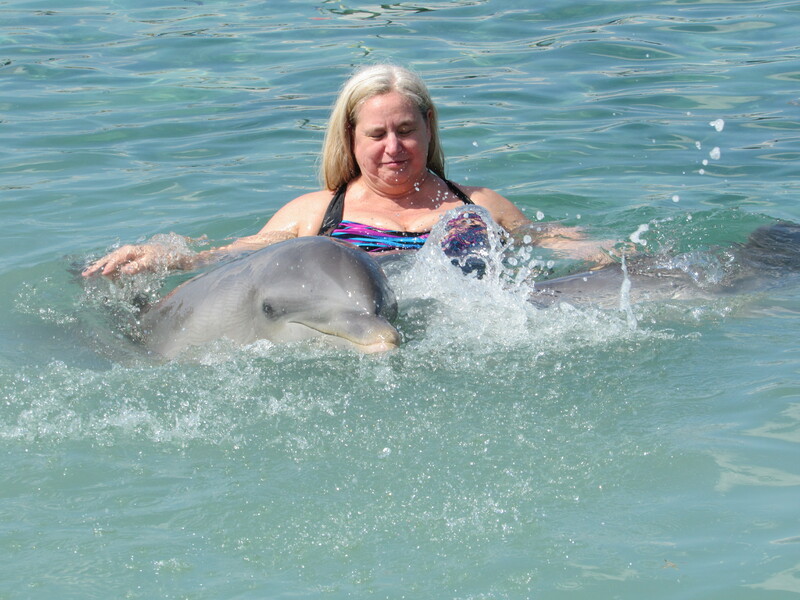 I love Flipper! I also grew up watching it. Thanks for stirring some good memories! Oh, I remember watching Flipper and wishing to be with the dolphins! So glad you got to have this experience and have so many great photos to remember it by! What a wonderful experience that must have been! Envy, envy, envy! 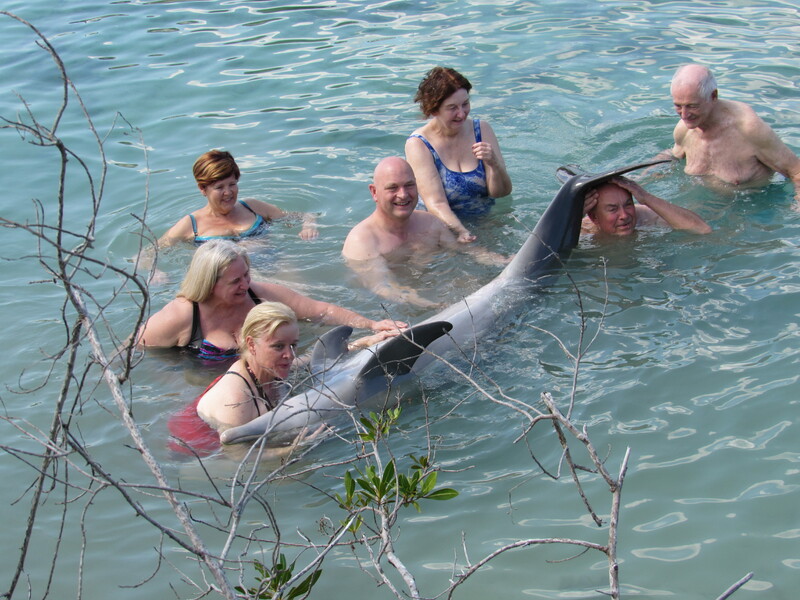 Its looking like you guys had lot of fun.. the Dolphins are so adorable.